Certified for all HDPE fusion services, including gas fusion hot tapping, line stopping and can perform large diameter by-passing. International Flow Technologies: Established in 1980, IFT has been involved in critical pipeline solutions around the globe. 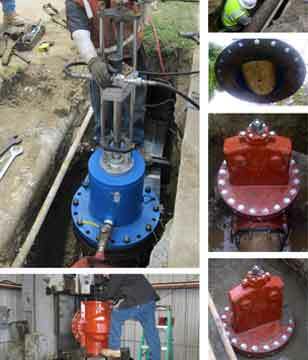 From large diameter sewage bypasses, to complicated water system conversions for San Salvador, IFT has performed thousands of hot taps, line stops, live valve installations, pipe freeze plug, insert valve installs wall, tank vessel taps and many other pipeline services. We have been educated with the help of raw experience and routinely complete our customer’s jobs the 1st time every time. 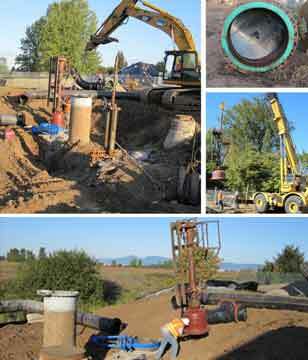 We offer many services that can assist in managing your pipeline system, without a shut down. 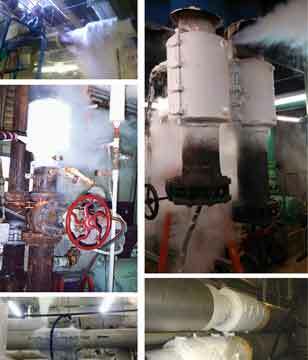 Additional state-of-the-art PipeFreezing, Hot Tapping, and Valve Inserting are available to retrofit your piping systems “Live.” Trust the 37 plus years of experience of PipeFreeze.com, InternationalFlow.com, Linestop®, Tooling of 2LBin.com and the consulting services of Leakdog.com for all of your pipeline projects. Linestop® is a registered Trademark of International Flow Technologies, Inc. 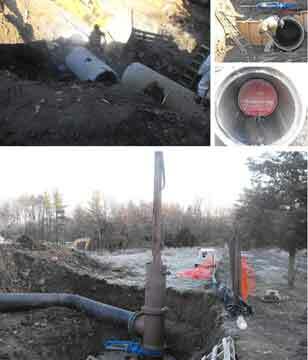 Contact us today to get a free quote for your pipeline needs. Sizes and Bypass Options: 1/2” through 84” Line stopping services and by-passing capabilities. Our equipment has optional by-pass capabilities through the machinery, which eliminate the need for additional bypass taps. IFT offers “Full size” built-in bypasses on machinery through 48” if flow concerns are an issue. Folding head machinery is available for reduced entry, at a reduced cost and weight; with a reduced by-pass size as well. 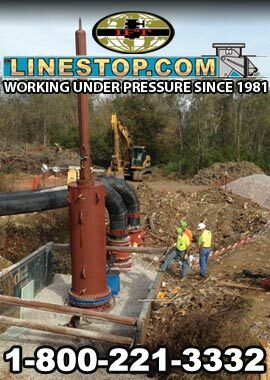 Numerous Linestop® machines can be used to isolate and by-pass a system. For example: 4 way tees allow a bypass to each leg without a separate bypass tap. Types of Pipelines: Years of experience with CMLC, Concrete Cylinder, Pretension, Pre-Stressed, Riveted Steel, HDPE, Carbon Steel, Stainless Steel, PVC, C-900, Copper, Galvanized Steel, Cast Iron, Ductile Iron, Transite (A/C), Techite, RCP and Fiberglass, just to name a few. Pressure and Temperatures: Being a Municipal service provider, IFT’s pressure capabilities are generally performed under 500 psi. & 400 degrees(F). On special applications, IFT can perform higher pressure projects and has allies that specialize in high pressure applications. See some of our Featured jobs under our featured work in the navation menu. IFT has led the industry for over 37+ years in steel and HDPE Natural Gas hot tap and Linestop® services. 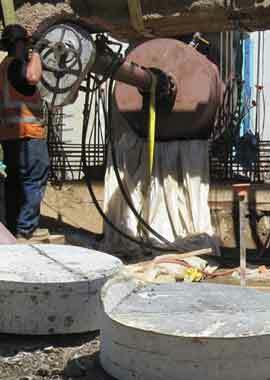 IFT performs live pipe modifications on HDPE, steel and other pipelines. 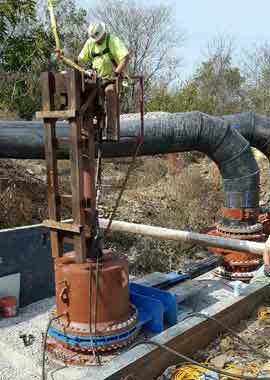 HDPE Linestop® and tapping services are handled by IFT certified fusion and gas technicians. 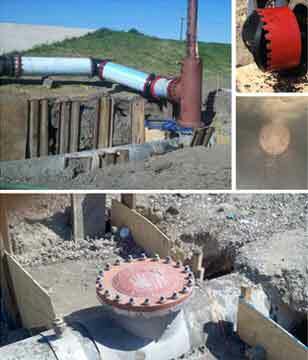 HDPE electrofusion hot tap and HDPE electrofusion Linestop services are performed on all sizes of HDPE pipelines. IFT has a long history in natural gas, water and sewage projects performed across America on all types of known pipeline systems. Completion Plugs: IFT Completion Flanges and Plugs come in many styles. These are used to allow removal of the temporary Linestop® Valve after work is completed so the valves can be used on the next project. 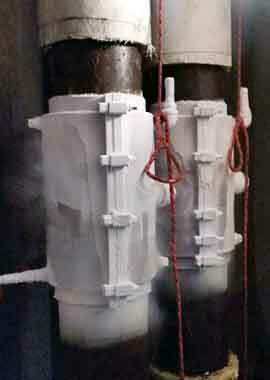 Blind flanges are left at the Linestop® location and can be removed and re-stopped at a future date. We have been involved in critical pipeline solutions around the globe for 37+ years. 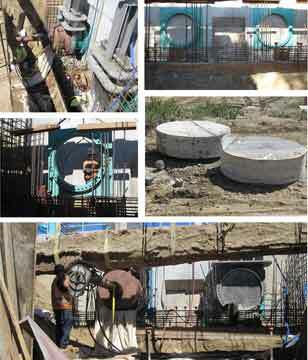 From keying on large diameter line stops and sewage bypasses for the city of Las Vegas, to complicated water system conversions for San Salvador, IFT has performed thousands of hot taps, live valve installations, pipe freeze plugs, line stops and insert valve installations. We have been educated with the help of raw experience over the years. Click the following button for a quote.